I find Survivalcraft more appealing than Minecraft, but I found picture in my Google+ today and have to give the person or persons responsible this build some publicity. There is a lot of time and creativity to build such a structure. What are Minecraft and Survivalcraft? Both games designed around worlds in which you look for resources while avoiding various characters and other hazards. Everything has a block like structure to them…image a world made out of Legos. There is really no goal to the game except to see what you can do with the resources you have on hand. In other words an exercise in creativity rather trying to meet the game designer’s goals. While I stared with Minecraft on my Android, I have drifted over to Survivalcraft and play it more often. 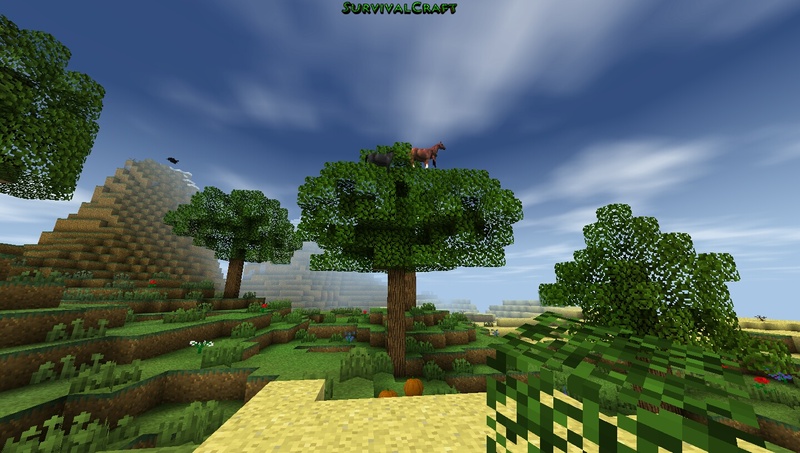 The reason for my change…I like the graphics and the challenges more on Survivalcraft.